There are numerous advantages of using electric shavers. You do not need to use foam or water – which allows you to shave on the go. They help you save time, money, and you never have to worry about cutting yourself. 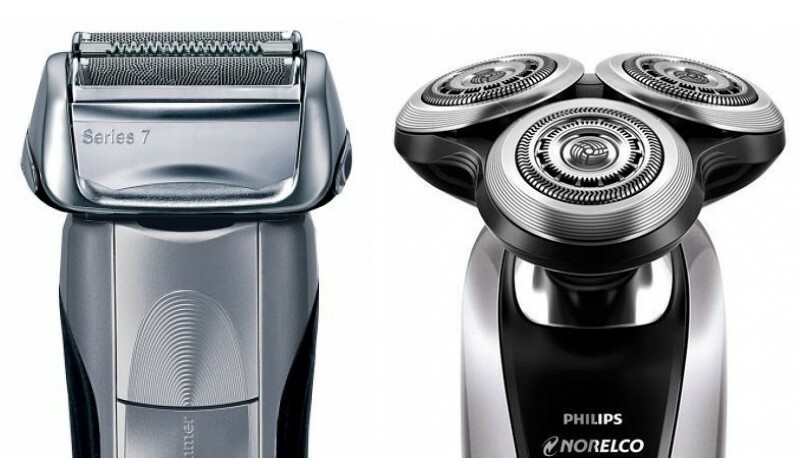 Continue reading to learn more about the differences between the two shaver types available on the market today. As wonderful as these devices are, you need to make a major decision before purchasing electric shavers – should you buy a rotary or foil shaver? Both foil and rotary electric shavers have their benefits and drawbacks, which we will cover in this quick guide to choosing the right shaver type. Click here if you would like to see our picks for the best electric shavers, including both foil and rotary shavers. First, it may help if you understood how these devices work and how they were introduced to the public. You are probably already familiar with the names Schick, Gillette, Remington, and the Philips Company. These people and businesses were the pioneers of personal grooming for men. The first electric shaver was designed and released by Jacob Schick in the late 1920’s. It was clunky, noisy, and difficult to use. He eventually simplified his design, and the first electric shavers were a hit – selling over one and a half million units by 1937. 1937 is an important year in the world of electric shavers. Jacob Schick passed away, and Remington introduced the first foil shavers. The Remington Close Shaver featured a micro-screen foil over the blades, which allowed a closer, more comfortable shave. Two years later, in 1939, the Philips Company released a rotary shaver. As the name implies, the rotary shavers featured rotating circular blades. This advancement offered an even closer shave than the foil shavers but was not as comfortable. Over the last 70+ years, many innovations have allowed both types of shavers to provide excellent shaves for most users. The differences between the two shaver types can be compared to the difference between a nail and a screw. Both are designed to fasten things together, but they go about it in a very different way. Choosing the right style will go a long way to getting the best and most comfortable shave. Both devices are essentially handheld electronic devices that include sharp razors moving back and forth or rotating at high speeds. Design wise and function wise they usually contain very similar features. Both foil and rotary shavers often include a trimmer to help better shave the mustache and sideburn areas. Many also include cleaning stations to clean the shavers between uses automatically. Foil shavers have a very thin, perforated piece of metal that cover the cutting blades and act as protection for your skin. As you go up the Braun and Panasonic product lines, you will find that both manufacturers add additional cutting elements to better cut all hair in one pass. We have found that the most effective foil shavers utilize between four and five cutting elements which each capture hair of different lengths. When shaving with a foil shaver, it is important to tilt the shaver at a 90-degree angle and make straight passes up and down or across your face. By following this technique, you will ensure that the cutting elements behind the foils can capture all hairs and cut them evenly. People with sensitive skin should strongly consider using a foil shaver. The foil screen protects your skin, minimizing razor burn and ingrown hairs. Foil shavers provide the best shave when they are used every day. If you typically go more than an extra day without shaving, we recommend trimming before shaving or considering a rotary shaver instead. 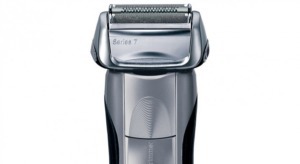 Most rotary shavers utilize spinning cutting blades inside three shaving heads. Each of these heads can move independently allowing the shavers to contour better to your face and neck. 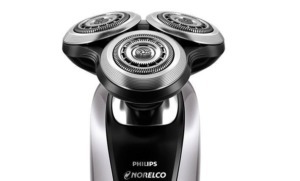 The difference between cheaper and more expensive Philips Norelco models is mostly in the speed and the range of motion that the shaving heads include. Rotary shavers typically perform better than foil shavers when shaving growth of more than a day. Shaving with a rotary shaver requires a different technique than shaving with foil shavers. To get the best performance and shaving comfort, you should shave in circular motions around your face with moderate pressure. Electric shavers provide convenience when it comes to personal grooming. While they cost more than disposable razors, the investment eventually pays off. You tend to get a more comfortable shave, you do not need to replace the blades every few days, and it is tough to cut yourself. Still not sure if an electric shaver is right for you? Check out our five reasons you need an electric shaver.